I'm a pathetic indoor person. I cancel plans to go out at the very last minute, keep postponing hangouts till I can't postpone anymore and generally loath outdoor meetings except extremely important. I promise I'm not old and I like the idea of being out and having fun but the problem is leaving. I love my comfort badly, my bad habit. You may understand now that it meant a big deal that I wore my skinny blue jean and even skinnier strip tank top paired with my favorite (read as only) black sandals to go see King Of Boys on a Thursday evening three weeks ago. Nobody was on my neck begging that I come with them, they weren't sharing money there (as they say) or anything like that, I went on my own, alone! The reviews on the streets of social media were mad. Everywhere I went, there was King of Boys; Instagram, Facebook, Twitter, and even Whatsapp statuses. There wasn't a sentence I read that didn't have either 'king' or 'boys' in it since the premiere of the movie. The last straw that broke the camel's back or rather convinced the camel was when a writer I follow on Facebook, Joy Isi Bewaji said it was a must watch. Joy isn't easily impressed. Joy is unbelievably good. Joy can do no wrong and when Joy says a movie is a must watch, for your own good, make it the next thing you see on screen. I got to Ibom Tropicana at some minutes past 5 pm, more than 30 minutes later than the movie was scheduled, resisted the persuasion to join and waited for when next it was showing, about two hours later. A packet of popcorn and almost 3 hours later, I was done seeing the hyped King of Boys. All I could think was the best way to come here and do this; warn you!!! The acting I saw in this movie was s-u-p-e-r-b! 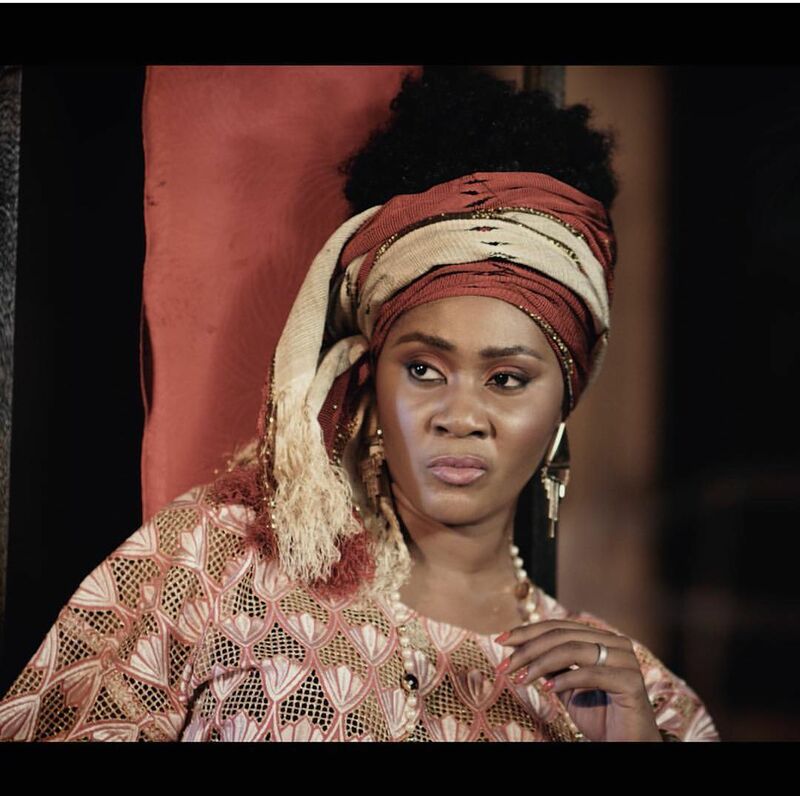 We saw the goddess herself Sola Sobowale play the power hungry and powerful character Alhaja Eniola Salami, our screen queen Adesua Etomi as Kemi Salami, Eniola's daughter and right-hand man willing to do anything to cover her mum's tracks. Toni Tones also brought it as she played young Eniola. And then there was Makanaki admirably played by Remilekun 'Reminisce' Safaru! Even though his first time acting, dude acted like it was his 101st. I don't know what I like more about his delivery, that I didn't see it coming since it was his first or that he acted like the role was encrypted in his DNA. His character breaths power and rebellion and the first time actor brought it to life expertly. At a point, I feared his soul was really dark acting apart. You took that role in King Of Boys and slaughtered it. I mean you left no hostage. The part you put your leg on the table after you took over the throne, the part you knocked that guy's teeth out, the way you talk, everything was s-u-p-e-r-b! Well done. I'm seeing that movie a second time! If you do not like to see people come on screen and give you an experience that makes you almost forget what you are watching is make-believe, please do not waste your money going to see this movie. From the first scene where it was Eniola's birthday to the point she had that cup of coffee and winked at the camera, you wouldn't predict a thing. This is one of those stories that just when you think that the end has come, you see that it's only just beginning. 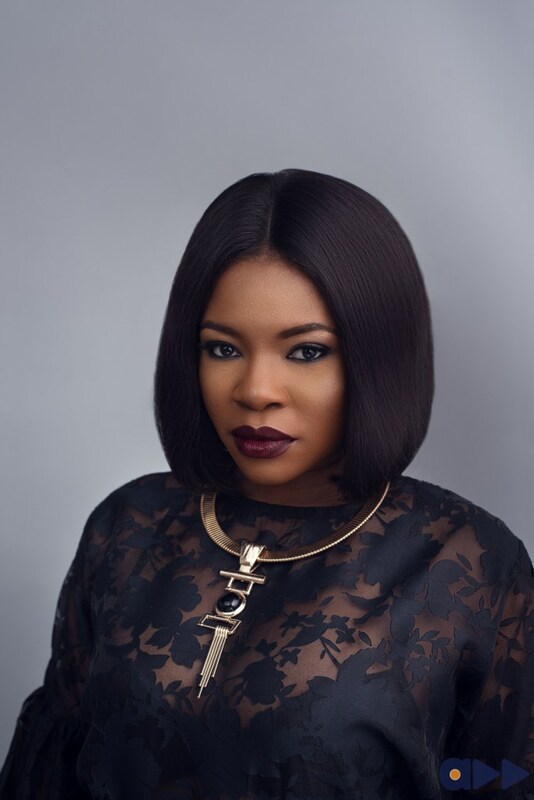 Considering that we are conversant with Nollywood movies that reveal the whole story from just the casts and the soundtrack, the writer, director, and producer Kemi Adetiba did a very commendable job here. She's a double package. Scratch that, triple package! The story was unique and intriguing. She took us through politics, crime, power struggle, betrayal, violence, etc beautifully. And when we thought all has been lost and the end has come, don't we see the true king of boys somewhere in the abroad ruling the boys? The story was unpredictable and amazing but then again it's Kemi. I mean what do you expect? After what she did with The Wedding Party, it'd be ignorant to expect anything less. You don't appreciate things like this, this movie is not for you. Do not waste your time. Something I really hate about watching Nollywood movies is that the scenes always drag on slowly and annoyingly. Half the time, they don't have a lot to display so we have to watch the driver close the door ten seconds longer than necessary. We have to painstakingly watch John make the long walk from his car to the house and sometimes, we are even made to watch him ascend the stairs slowly because as I say, there's nothing to be shown! I don't think there was a scene in the whole movie that wasn't necessary although the constant shift from the present Eniola to her past life was quite confusing at a point. Everything else was in line and as such, super captivating. 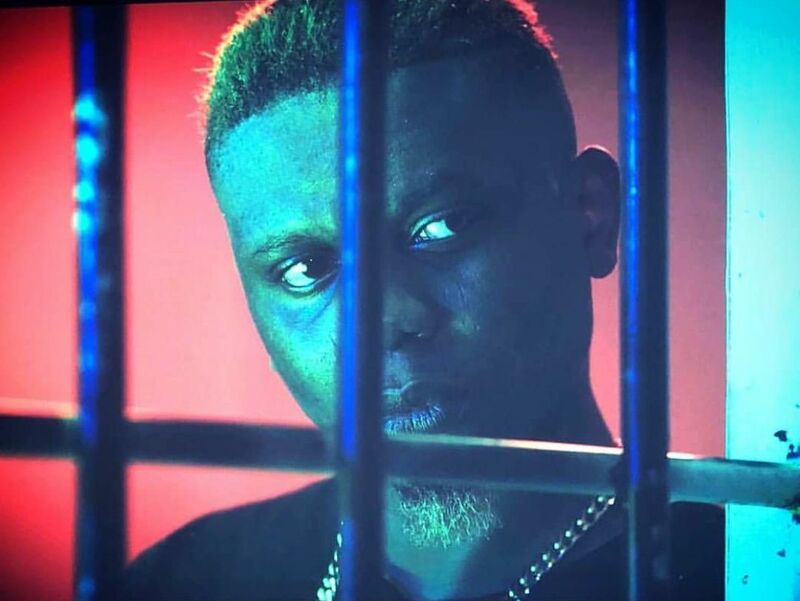 In the night scene Nurudeen Gobir played by Paul Sambo stopped the car and let Eniola escape, I feared they were returning to the familiar and disappointing scenes of Nollywood but in no time, they were in line again! If you do not like movies that don't have unnecessary scenes, don't drag on boringly and is captivating, you shouldn't watch King of Boys. I repeat, you should not watch King of Boys. 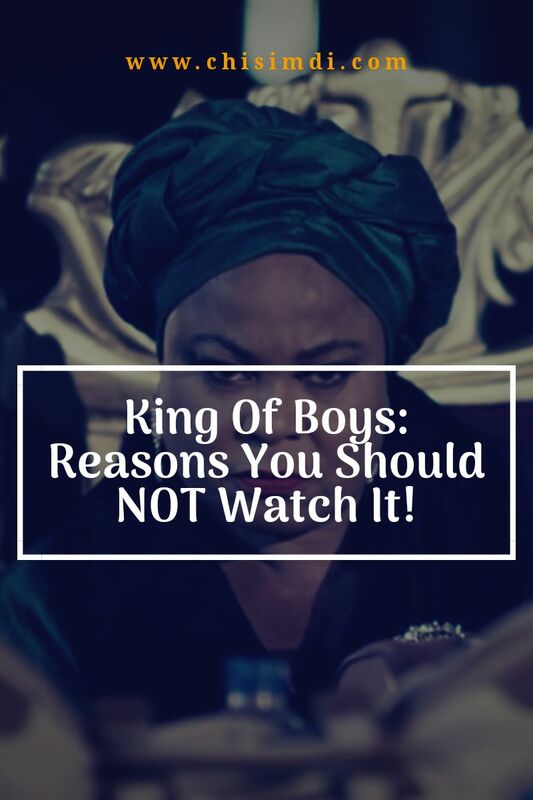 Brilliant cinematography came to play in Kemi's King of Boys. The filming and photography were great. If you won't be bothered about a beautiful aesthetics and things, King of Boys isn't for you. Go eat pizza! That said, I feel Kemi is the light at the end, and even beginning and middle of the Nollywood tunnel. She brought a beautiful and yet tricky storyline and properly executed it with the right cast and resources. She's one of the few people who reassures us that we can dare to dream for our dear old Nollywood. I'm looking forward to the awards king of boys will bring home come 2019! Twale Kemi Adetiba, the true king of boys! If you've seen this movie, let me know the experience you had in the comment session. Was it as surreal as mine or did you expect more? If you haven't seen it yet, go see it already and let me know what you think!